Owner of KA-CMC LLC since 1999, where he is an industry consultant and full-service caterer for a diverse and high profile clientele. Certified as a Master Chef by the American Culinary Federation in 2003. Winning the Gold Medal in the Société Culinaire Philanthropique Salon in 2005. 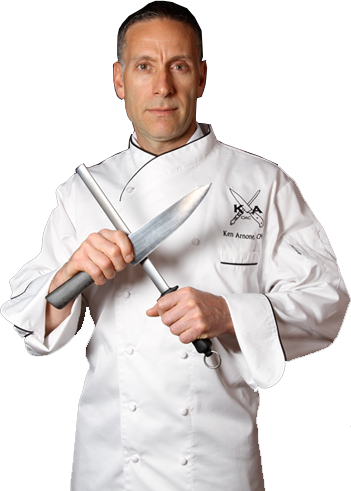 Serving as a Chef and Professor for the Culinary Institute of America from 1999-2005, where he taught over 3,000 students in 14 different and challenging courses. Winning the Restaurants and Institutions Ivy Award in 2003. Receiving the Gold Metal from the Société Culinaire Philanthropique salon as Team Manager in 2000 and 2003. Winning five Silver Medals in the Oylmpiade der Koche in 2000.